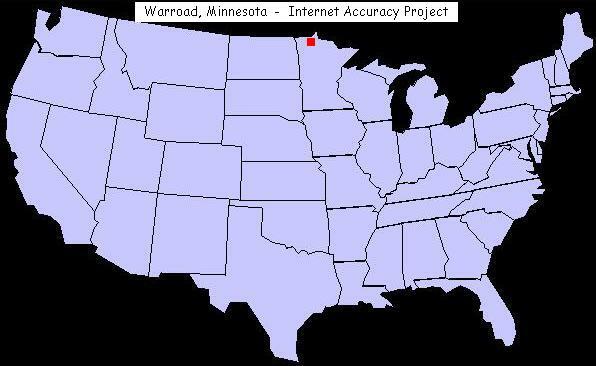 Warroad is located in northwest Minnesota, south of the Canadian border in northeastern Roseau County. It sits on the southwest corner of Lake of the Woods, which is billed as the "Walleye Capital of the World." Over the years, Christian Brothers (a premier manufacturer of hockey sticks) and particularly, Marvin Windows and Doors, have played an integral role in the development and improvement of life in Warroad and the surrounding area. As the largest made-to-order manufacturer of wood windows and doors in the world, Marvin Windows and Doors is the single largest employer in Warroad and one of the largest in all of northern Minnesota. Christian Brothers later became Christian Hockey Sticks and moved their operations to the nearby town of Roseau. As the original "Hockeytown USA" Warroad has produced a number of Olympic and NHL hockey players, including Hockey Hall of Famer and Olympic silver medalist Henry Boucha. Warroad received its name from the practice of Native American tribes frequently traveling through the area to wage war against one another. One of the largest Chippewa Indian villages in the region was located on the site the town now occupies. They fought a protracted and vicious war with invading Sioux, whose route to the area ended at the mouth of the Warroad River. The Sioux, who hailed from the prairies of the Red River Valley near the Minnesota-North Dakota border, frequently used this same route to attack the local Chippewa tribe. This historic "war road" thus lent its name to both the town and river. Time Zone: Warroad, Minnesota is in the Central Time Zone. NOTE: Some rural areas to the north and also southeast of town are in the colder zone 2b. Camping, boating, fishing, hunting, ice fishing, trapping, picnicking, swimming, canoeing, mountain biking, bird watching, photography, wildlife viewing, golfing, ATV riding, cross-country skiing, snowmobiling and horseback riding. Bear, beaver, coyote, deer, fisher, fox, marten, mink, moose, muskrat, otter, raccoon, skunk, squirrel, weasel, wolf, pelican, crane, goshawk, eagle, duck, killdeer, osprey, red-winged blackbird, grouse, loon, and geese. Anglers will find Lake of the Woods is home to a variety of fish including Lake Sturgeon, Largemouth Bass, Smallmouth Bass, Northern Pike, Sauger, Yellow Perch and Walleye. We now provide a lot map for 306 Hallberg Street in Warroad, Minnesota, to address several inquiries we've received in regard to the unusual placement of lots there.